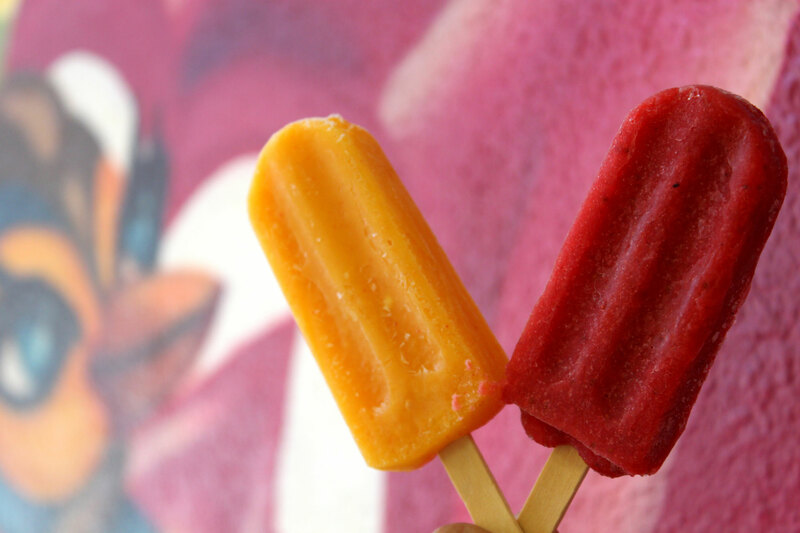 Inspired by the festive colors and flavors of traditional Mexican-style pops called “paletas,” Viva Pops all-natural frozen fruit pops will rock your world. They’re made with organic fruits and herbs, many of which are purchased from local growers and suppliers at San Diego farmers’ markets. We use fresh ingredients and try to keep their flavors true. That means we don’t over-sweeten our pops, or use any additives or preservatives. The magazine of western living features Viva Pops. 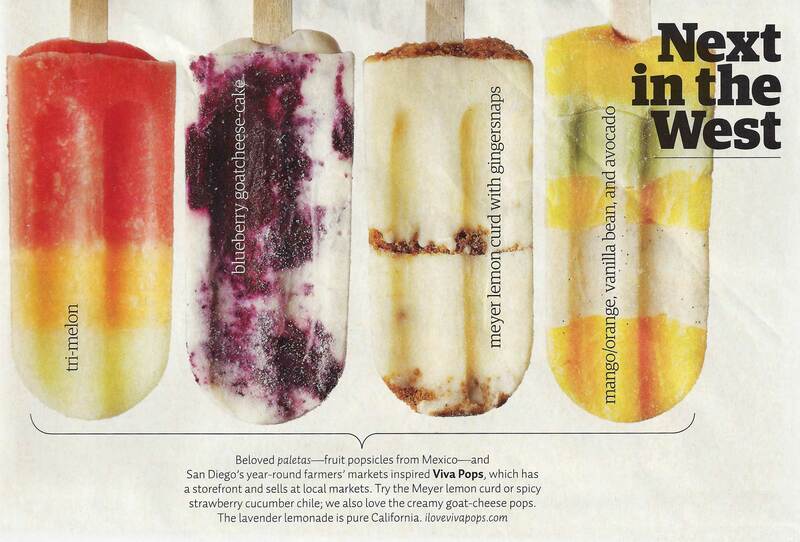 Sunset acclaims Viva Pops are "healthier and just a bit sassier, with crazy flavors that show off seasonal fruit." Viva Pops is featured in the New York Times article 36 Hours in San Diego. 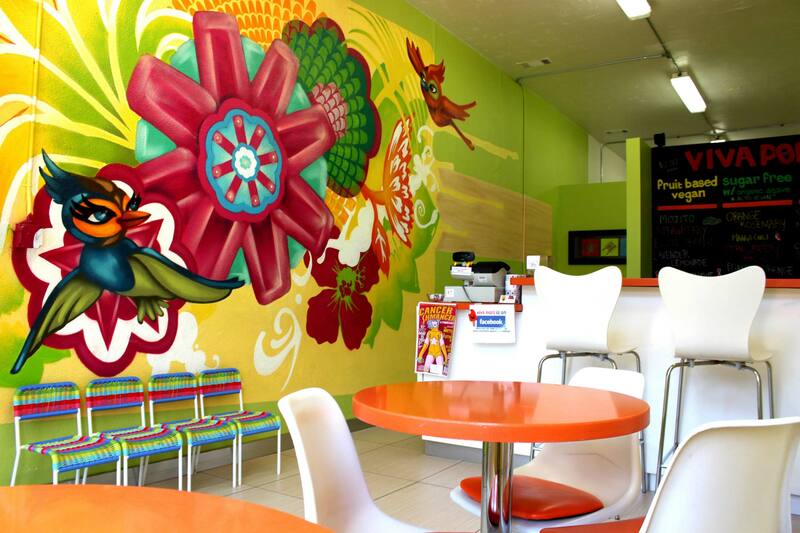 Come to our pop shop in Normal Heights!